This is one of two drawing I did for this guy at BronyCan 2016. Sadly, I missed out on getting his name, so I have no idea what this little stallion's name is? 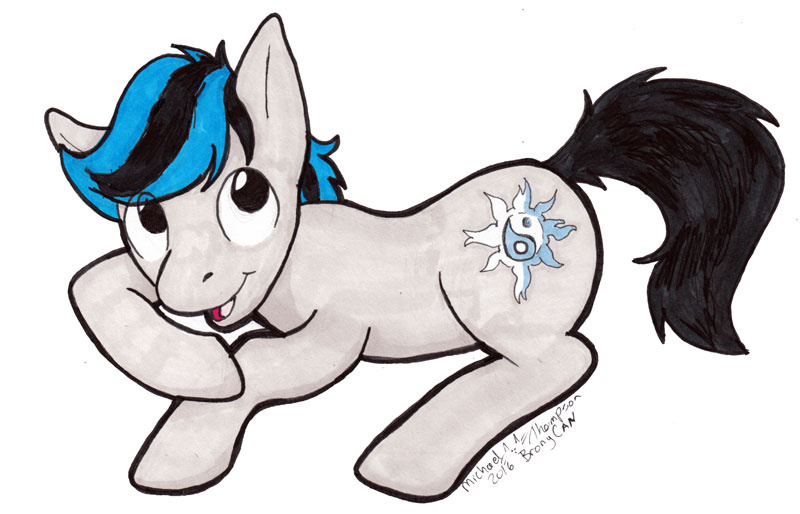 He wanted a gray Earthpony with a blue and black mane and a full black tail. For a cutie mark he wanted this flaming YinYang symbol, similar to that of Sunset Shimmer. Thus his OC was born. He was happy with the results.